Due to a prolonged festive period, and idleness, we haven’t done a post in yonks! Sorry about that, we’ve got a best of 2009 post coming soon, we hope. In the meantime, here’s some tasty tracks. Hey folks. Sorry for the criminal lack of posts recently. My excuse is that my laptop is broken and mediafire doesn’t work on my uni’s internet system. Yeah so I’m pretty fucked. Luckily a flat mate is very kind enough to lend me his laptop for this post and I’ll do some direct links. Here is Black Noise. Absolutely loving these guys at the moment, producing sick catchy basslines and keeping the fidget electro sound alive. Also, check out the other banging Black Noise tracks we’ve posted if you haven’t already! 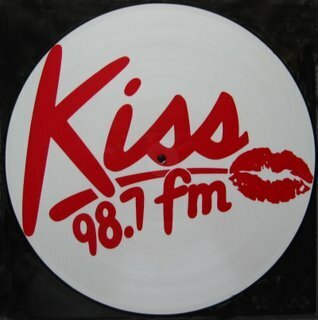 back in the day – i’ve heard – kiss fm was theeee radio station. the supreme purveyors of disco in new york city throughout the 70s and 80s, kiss’s resident deejay shep pettibone began the remix. with his famous mastermixes of pretty much every disco beast the MASTERMIX MASTER SHEP PETTIBONE is insane. if you dont like disco you should. but these will help! it’s absolutely insane, an evolution in his sound, such an improvement and an absolute stomper… he builds churning dubstep wobbles into a cacophony of bassy wobbles and cut up vocals……and it’s made me so happy because….i’m gonna see him on the 6th of february. CHEW THE FAT. corsica studios. fake blood, foamo, a1 bassline, raffertie!!!!! sure to be a great one. four insane artists. what a line up! enjoy raffertie. and also as a bonus here’s i only wanna be with bass by the amazing squire of gothos. another fine song. built with a spectacularly cheesy vocal hook and lots and lots of bass. THEE BANG GANG DEEJAYS, and their many masks. They are also behind the amazing BAG RAIDERS. although recently moving towards a more vocal style they still bang out massively catchy synth cheese with huge songs like fun punch and turbo love. listen and enjoy. …………..and just a little bit more crunchy ozzie electro from calling in sick. lovely remix of bag raiders and an amazing remix of midfield general‘s disco sirens. go australia!